Trips to Bulusan became less and less as I grow up. Prior to last April, my last trip to the province was in 2002 after graduating from college. Though it wasn’t Holy Week yet, it was almost as if it was — we hardly had time to really enjoy the place. I can’t remember a trip to Bulusan without rain. While people are complaining of a very hot Lenten season, my memories of Bulusan during lent always involved rain. True to tradition, it was pouring when we rolled into town. I was eagerly looking out the window of the jeepney we were riding, taking in everything that came into view and mentally comparing if it was the same as my last visit. A lot of things have changed. Roads have been paved, towering concrete houses where old nipa houses stood. My phone was able to get signal from Globe and there’s even a couple of Internet shops. Yet a lot of things remained the same. There was that one house and the store that still looked the same as it did when I first laid eyes on it in the early 80’s, and of course the familiar faces of friends and family. I find myself thinking how my parents feel every time they come home to Bulusan. If the changes I’ve noticed for the past 20-something years have been huge, how much has the town changed from the Bulusan they’ve known since the late 1930’s? The longest I’ve stayed in Bulusan was 10 days. That was when I was in high school and on summer break. I wonder how different the experience would be if I go back and stay longer. Maybe this is the time to find out? Written for the 7th Pinoy Travel Bloggers’ Blog Carnival on the theme “hometown.” This round is hosted by Mhe-anne Ojeda of My Comings and Goings. View the archive over at Estan Cabigas’ Langyaw.com. 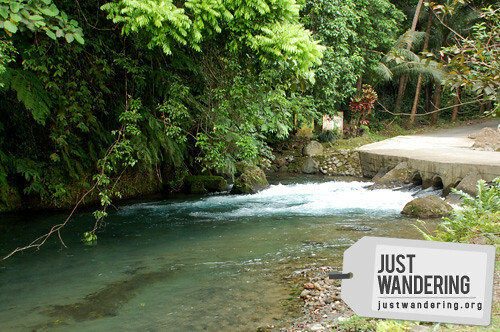 where can i go besides of Bulusan lake and Dancalan Beach if i will visit Bulusan? Great post! It’s always such an interesting experience to return to somewhere you’ve been away from for a long time, isn’t it? I loved it when i visited Sorsogon , took a jeepney to Irosin then a trike further up the mountain to visit friends. They own a bakery so you can imagine how good that was , lol. Swimming in the beautiful pool there . And walking around part of the lake. It didn’t rain though it was very cloudy lol.All part of a great trip to Bicol. Seems you’ve seen more of the Philippines than I’ve had! I know there are many many places still left to see . Lol. Parang gusto ko mag Dancalan beach.=) thanks for sharing . May araw ka ding Dancalan beach!!! 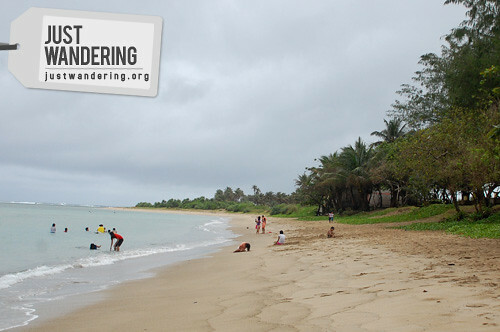 Never been to Sorsogon When I go to see the butanding, I hope I can go to Bulusan as well. 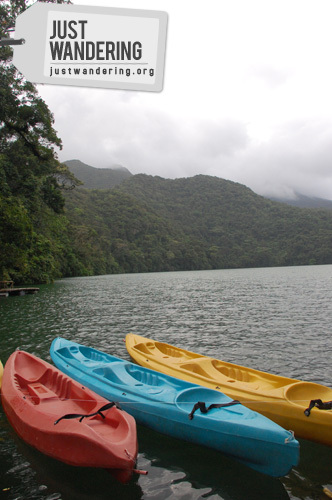 Nina, must try ang kayaking sa Bulusan lake! I’m not into water sports but it’s fun. I did it. nawala yung pagod ko dahil super enjoy. It’s wonderful to have a province to go to when Holy Week rolls in. Dancalan Beach looks beautiful! It’s so different from the shores of Bacacay, Albay. I missed Bulusan so much!